Chrome Single V Groove Standard Style Chrysler Alternator. Advertized as a 50 Amp/75 Amp. 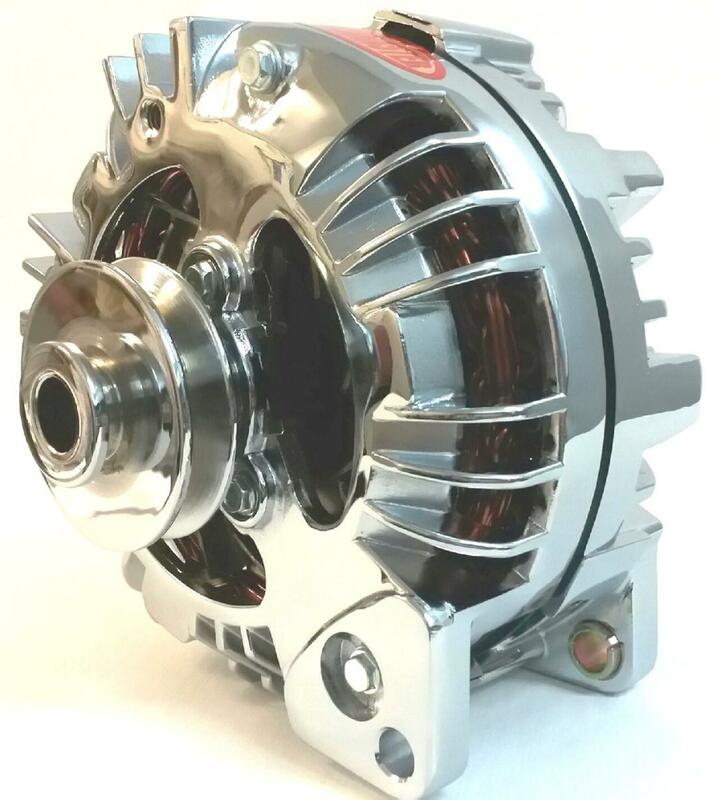 All High amperage alternators come with a Dyno Tag Attached to the rear. Most Show a capability of 64-68 amps @ idle RPM, 78 amps at cruise RPM, and 95 maximum output. Chrome Components are top Quality. No Chinese Chrome Here. Most Single V Groove Alternators are slated for usage without Factory A/C Belt Alignment.